As some of you probably know, for most of my life my main physical activity has been messing about in boats. Usually these have been small sailing boats, sometimes motor boats of various sizes. Shortly after Marcia and I were married, I decided to take a bit of a plunge into the unknown. At the time I was writing a column for Yachts and Yachting which came out on a fortnightly basis – but was not providing enough to enable us to live. Then I signed a contract to write a book with David and Charles (a publishing house that has, I fear, gone the way of all flesh). This meant we could just about get by but the question was, how? Well, the answer was to go afloat and spend the best part of the next year on our forty foot ketch – a very old, very rotten boat that needed a good deal of tender loving care to keep her afloat. The book was written in the tiny fore cabin on a triangular desk that at its widest was about thirty inches with a depth of about the same at which point it had no width at all. It was great fun and despite many interesting moments I think neither of us regretted it – nor will either of us forget the first bath we had when we eventually went back to living ashore. It was at about this time that I started to write and present a short (fifteen minute) slot on Radio Devon all about what was happening in the sailing world. Some of the people I interviewed for that were extremely interesting – and some were disabled. As a result, two things remain important to me: giving young people the chance to experience what it is like to be afloat and giving disabled people the opportunity to enjoy sailing. 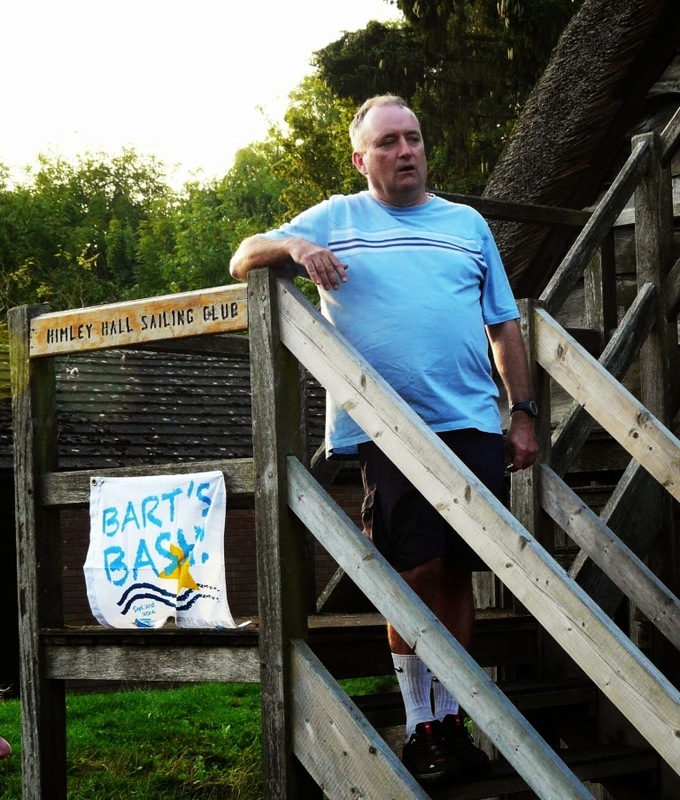 Tony Sutton on the steps of the Himley Hall Sailing Club's cluhouse. One friend of mine, Tony Sutton, is presently Commodore (the title given to the boss of all sailing clubs) of a very surprising sailing club. The lake with the hall in the background. 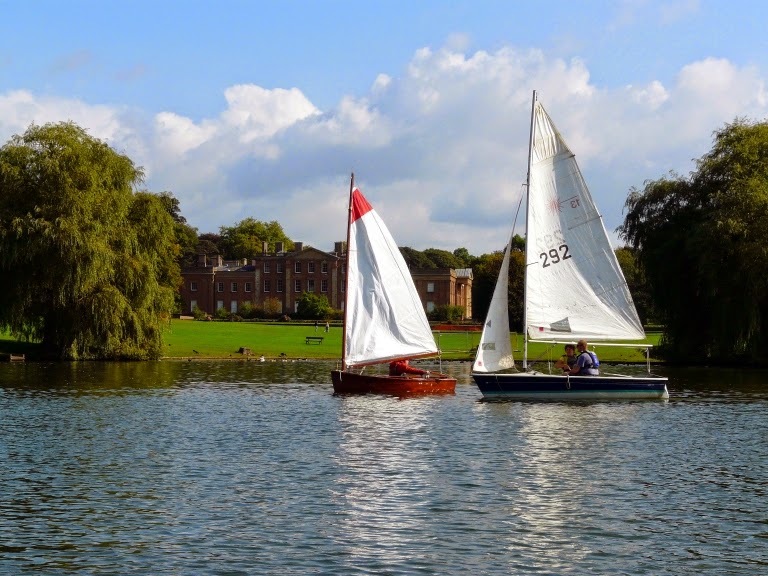 This club sails on what is known as “The Great Pool” in the grounds of Himley Hall, which stands on the site of the old manor house, once the home of the Lords of Dudley (and the place that Charles I spent the night before the battle of Naseby). In the 1740’s, this house was demolished (as was the entire village of Himley complete with the church) and a great house built. It was ‘Capability’ Brown who landscaped the gardens around the house which included what was then called ‘the great lake’. 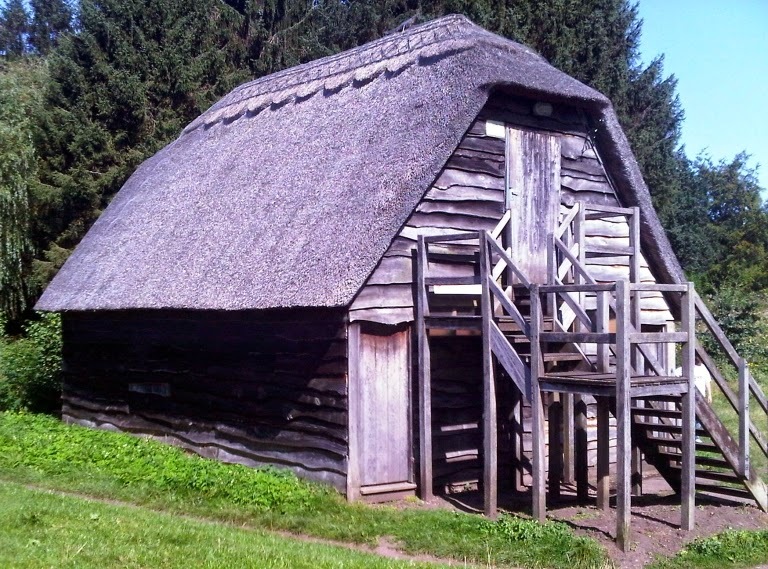 In passing, I suppose I should mention that the village and the church were rebuilt at the same time – but at a discreet distance from the house. The clubhouse - and this is what Tony has to say about it. "Our clubhouse was the Earl of Dudley's boathouse and the very building where Edward, the Prince of Wales, and Mrs Simpson started their love affair. Older members say that they carved their initials into the ceiling beams but they have since been covered over with plasterboard. I keep meaning to find out where they did the carving. remove a sheet of plasterboard and put a sheet of glass in its place. 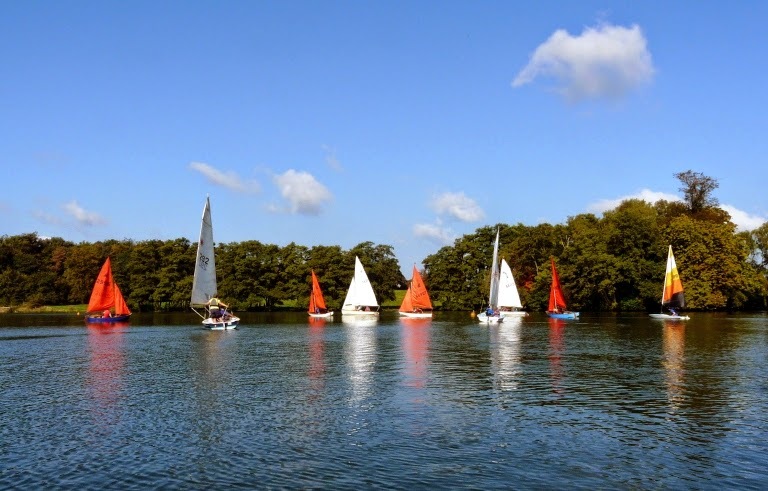 Then, after the second world war, the property came into public ownership (it is owned by Dudley District Council) and is used for a wide variety of events, conferences, weddings and so forth – and the great lake has become the home of Himley Hall Sailing Club (only being a modest bunch they call it a pool and not a lake). Certainly in terms of water surface area they must be one of the smallest clubs in the country and it would be difficult for them to be further from the sea as they are situated bang smack in the middle of the Midlands of England. Having said that, they have a well-earned reputation for introducing youngsters to the water and in training them in all the things that matter when you are afloat. 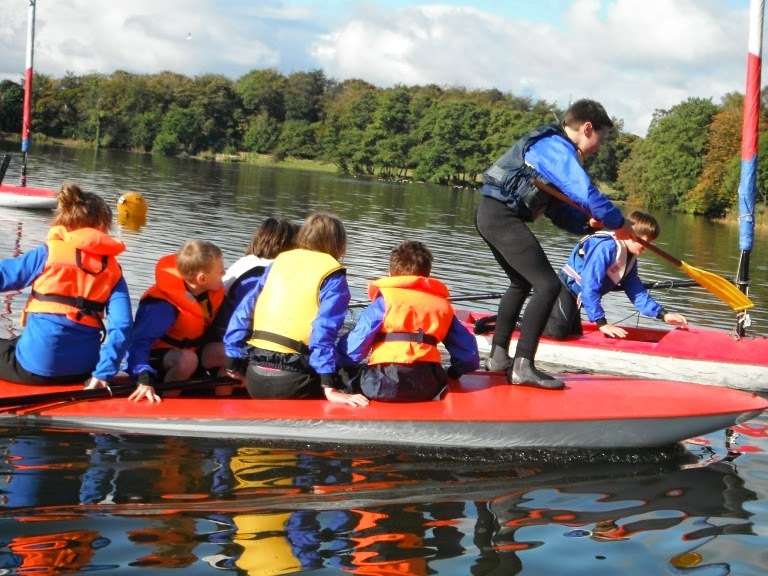 Indeed, the club is a recognised Royal Yachting Association training centre. My very best wishes to them: may they continue for many years to come. Bruce in his natural habitat: on a boat - any boat - on the River Dart. Then there is another friend, Bruce Symes. 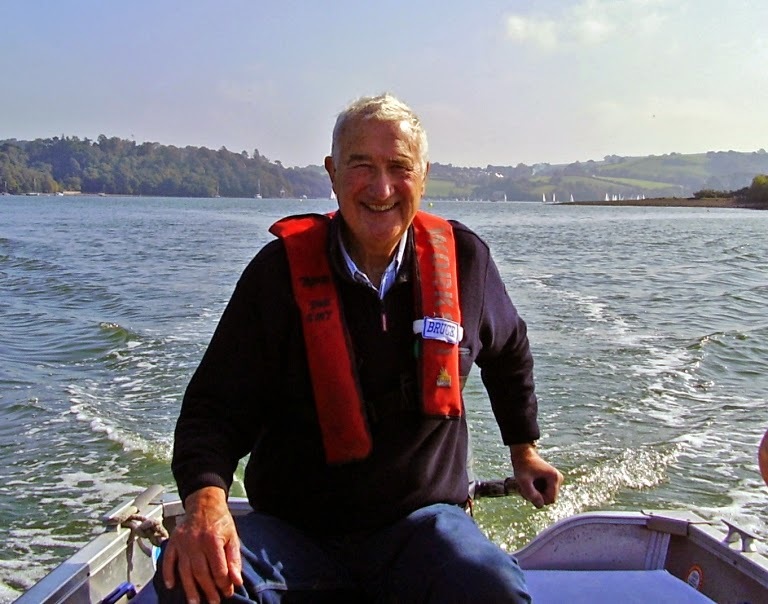 We used to sail together on the River Dart in years gone by and the greeting in his last Christmas Card says it all. ‘Still sailing – but very slowly’. 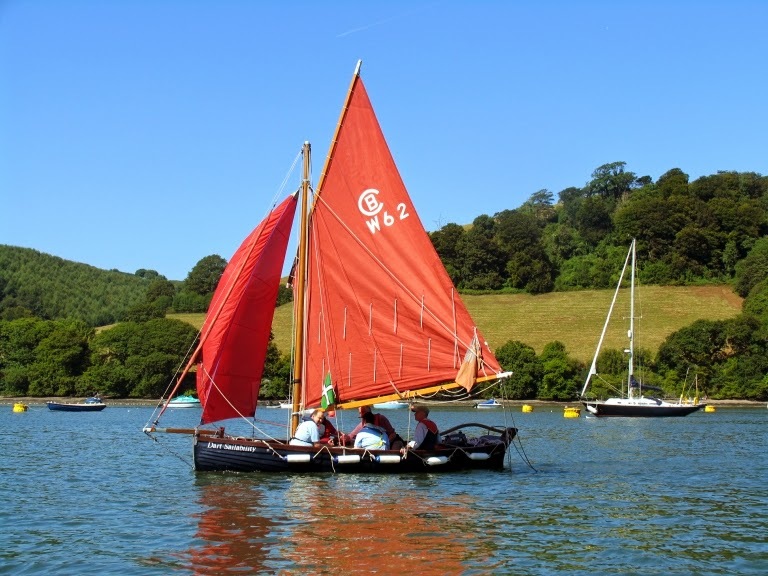 What the card failed to say is that Bruce is heavily involved in ‘Dart Sailability’ which owns boats which have been modified to enable disabled people to sail in them and has hoist facilities for them on the pontoon at Noss on the River Dart where these boats are moored. 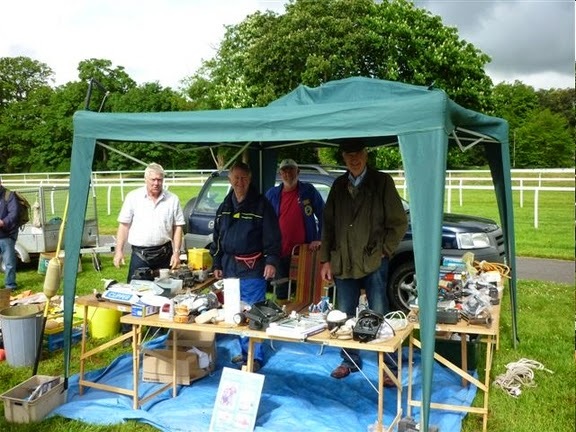 Manning the Bosun's Locker stall to raise money for Dart Sailability. All of this costs a great deal of money and Bruce’s ‘thing’ is called ‘Bosun’s Box’. The idea is that they collect all sorts of boaty bits and pieces (even boats!) which they then sell – after refurbishing or whatever as required – at auctions and on eBay. One of the fleet of boats owned by Dart Sailability out on the river. So it is that while I spend most of my time hitting the keys on my computer there are two friends who are really doing things that are so worth while. In a world where there is so much going on that makes us want to weep, it is good to read about people who are doing something positive for their fellow men. I give you a toast: Tony and Bruce. 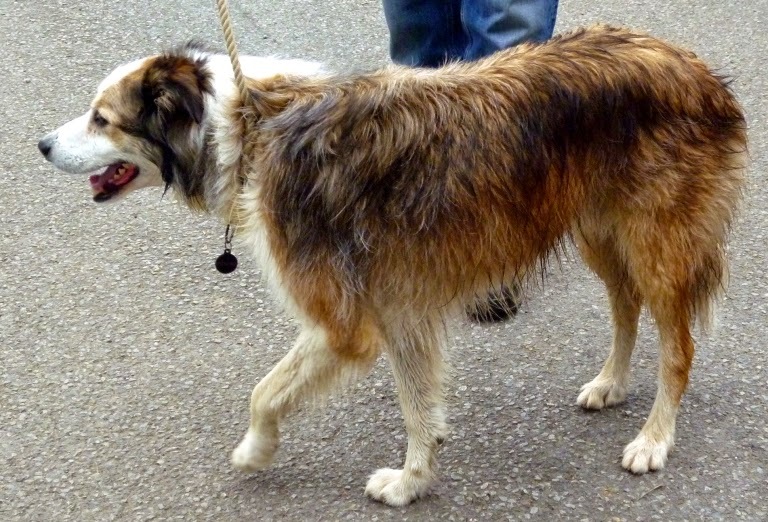 The blog dog this week answers to the name of Jago. Probably. Sometimes. When it suits him.